If you’ve read my bio, then you know something of my health history. What I would like to elaborate on a bit today is my chemical sensitivities. As May is Multiple Chemical Sensitivity awareness month, I felt this would be a timely post. Shortly after my dad passed, I moved around a bit. From Chandler, Arizona to Portland, Oregon, then to Tucson, then to Reno, and finally, back to Tucson again. Upon arriving back in Tucson for the final time, I moved in with my mom, who was living in a newly built house. As I started to take up roots, enrolling in school and finding a job, I began to experience a new-to-me slew of health issues, including itching, eczema, cystic acne, depression, mood changes, insomnia, and food allergies. I also found myself reacting to various smells, including perfume, laundry detergent, and even more natural scents, such as flowers and essential oils. I couldn’t walk into various stores, including Target, dollar stores, or Home Depot, without starting to feel foggy-headed, irritable, and/or achy. While dating my husband, I also had trouble sitting in a movie theater if someone near me smelled strongly. I was constantly on the lookout for things that might ‘set me off’, and I became very reclusive. I had trouble finding and keeping jobs because of my sensitivities and lost a few friends due to their lack of understanding (and my lack of explanation). Where I’m at now is better, but it’s still a daily battle. We use unscented everything, and I steer clear of anything that has a strong smell. I have found a few effective ways to manage and modulate my situation, which is what I want to share today! ‘The solution for pollution is dilution!‘ I know, how trite and redundant, but honestly, this is a big one. Water helps hydrate the cells, moving waste and other toxins through and out of your system in the long-term, and diluting it in the short-term. This is most helpful for me in cases of food allergy. Okay, I’m beginning with my most boring methods first. Though there are times when I don’t feel like going to the gym, I know that it’s just 30 minutes of my life and that I’ll be better off for it. Countless times I’ve gone in not feeling well, only to have a workout reinvigorate me! A good run is great for indigestion, as it gets things moving, and when weight training, I’ve found that about 10-15 minutes into working out, my mood starts improving. It’s tough to go in when I’m feeling toxic, but if I give myself enough time, nine times out of ten, I feel better! That was my reaction to this controversial technique so many moons ago after my mom first introduced me. ‘Never will I ever do that, no, how gross!’…but, here I am some ten years later, still doing them! If you have any type of chronic ailment, these are awesome. I do them 3-4 times per month, particularly around times when my eczema flares up. They never fail to help me! They are awesome for detoxing the liver and removing poisons. My liver can become so congested that I actually feel a pressure where it resides. A coffee enema is my go-to when I start to feel this way. Next to my car and our house, this was my biggest adult purchase! It has been completely worth it though. I began doing saunas when I spent time in Dallas at the Environmental Health Center. EHC is a clinic that treats highly sensitive persons, like myself. They administer various treatments, including allergy shots, saunas, and oxygen, to help individuals detox and replenish their health. I’ve been there three times at different low points in my health, and the visits always benefited me. The saunas, in particular, aided my health more than anything, so I ultimately decided to buy one for my home. I purchased mine from Heavenly Heat, which is the brand the clinic uses for its most allergic patients. 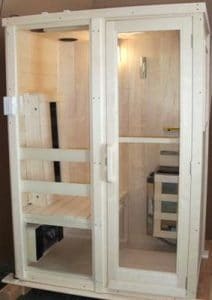 When purchasing a sauna, you have to keep the materials in mind (wood, varnishes, glue, etc. ), as those smells can be bothersome, thus negating the point of buying a sauna. Heavenly Heat makes saunas for the most allergic individuals. I have a combination dry heat/infrared, which gives me the benefits of infrared treatment (removal of chemicals, heavy metals, immune stimulation), as well as a good sweat! I can’t stress this one enough! This is the one supplement I take regularly and give to my kids. While I could rattle off all the ‘research’ on this one, I’ll give you a more personal account instead. This acts as a kind of ‘reset’ for me, in that, when I’m having any type of reaction, it calms it down. My oldest daughter, Jade, is nearly as allergic as I am, and when I give it to her, it helps with any itching she has. My go-to brand, which is both inexpensive and free of fillers, is this one by NOW. 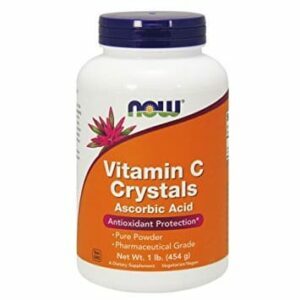 I’ve found that the best way to use this is to mix vitamin c powder with baking soda in a 2 to 1 ratio (for example, one teaspoon of vitamin c with 1/2 teaspoon baking soda). This makes it easier on the stomach and more palatable. I hope this was helpful or enlightening for some of you. Next time you wash your clothes in anything but unscented detergent or reach for your favorite fragrance, consider what you may be doing to your health. Pay attention to how it affects you! Try going without it for a week and see if you feel better, have more energy, or are more clear-minded. Do you struggle with chemical sensitivities? How do you detox your system? My daughter has chemical sensitivities along with severe autism. We use homeopathy to calm her down if exposed because she becomes extremely agressive if tripped. We use lots of Epsom salt bathes and have just started ld colostrum for her. I would love a sauna to help as well. I find taking her out to places is very limiting and not worth it a lot of times. Wow, you really do a lot to compensate for your sensitivities – and feel better for it. I often wonder how many of us are completely unaware of how things in our environment affect us, especially when those things are normal, everyday, unquestioned items like laundry detergent or perfume. I appreciate you sharing your journey and tips and find it exciting you have such a list of helpful things!